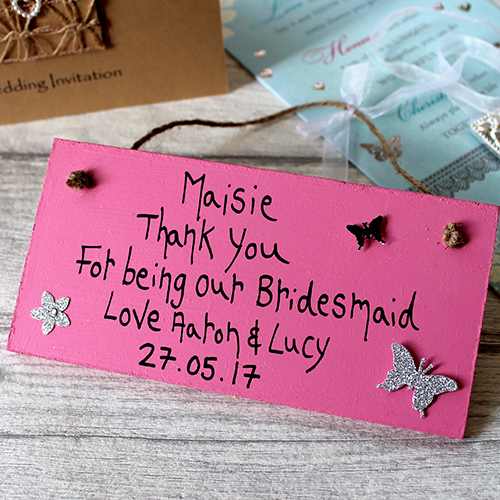 Cut by hand, this wooden plaque is then prepared and painted in house. 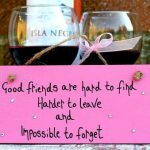 (This is the same for all our plaque gifts. 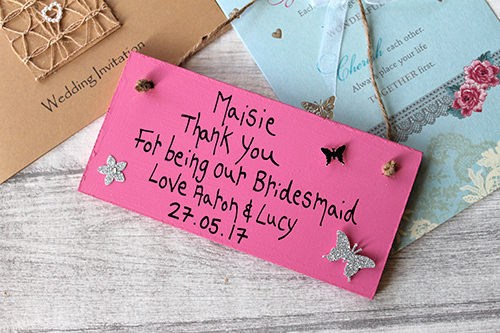 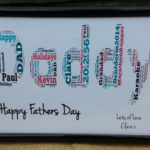 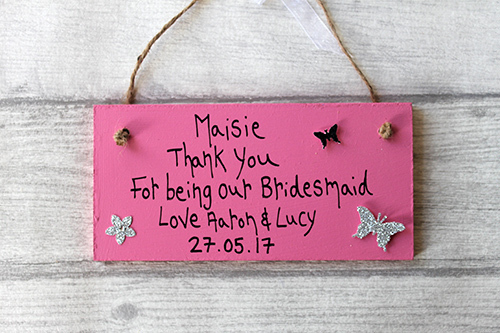 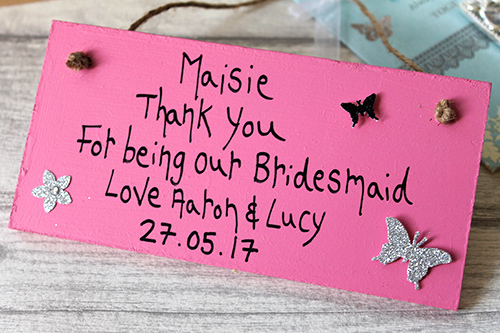 )The plaque can read for example ‘Thank you for being our flower girl [YOURS AND PARTERS NAME]’ with a butterfly decoration with the name the person your giving the gift to. 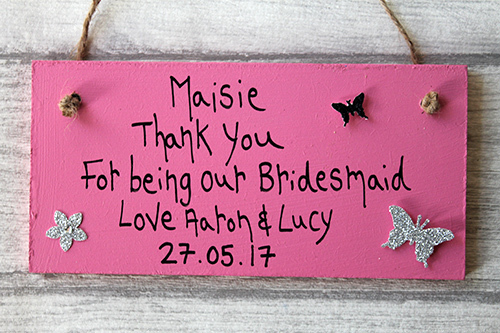 approx 15.6cm x 7.6cm x 0.6cm Includes hanging twine.